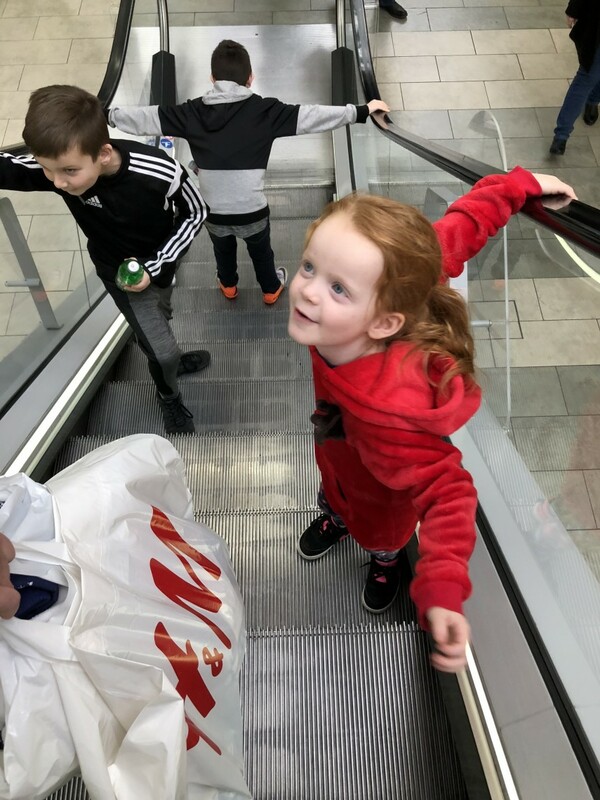 Going to visit Santa is one of my favourite Christmas traditions, it’s always nice to make a day of it and some activities to do to make it extra special. 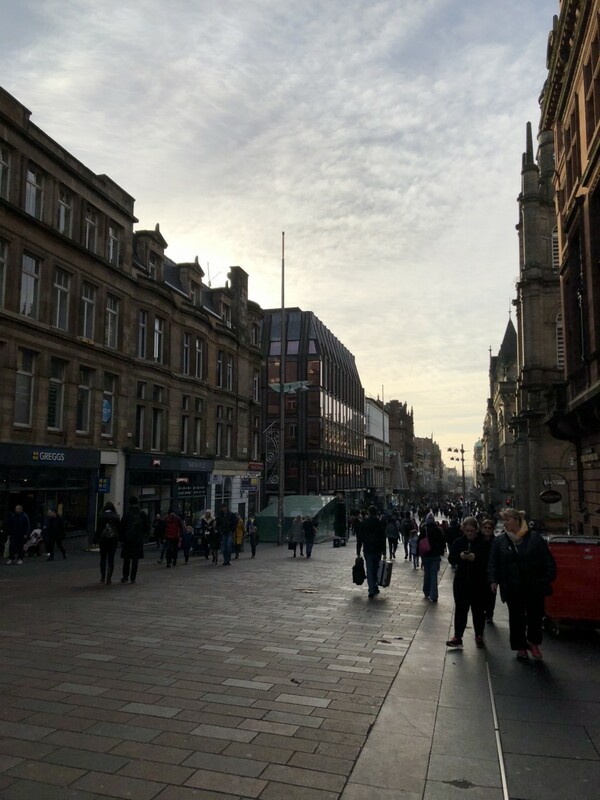 A few weekend’s ago we went into Glasgow and headed through the bustling streets, of Christmas shoppers, street entertainers and food carts to get to the St Enoch shopping centre. There we were set a challenge to get Christmas jumpers for the family. 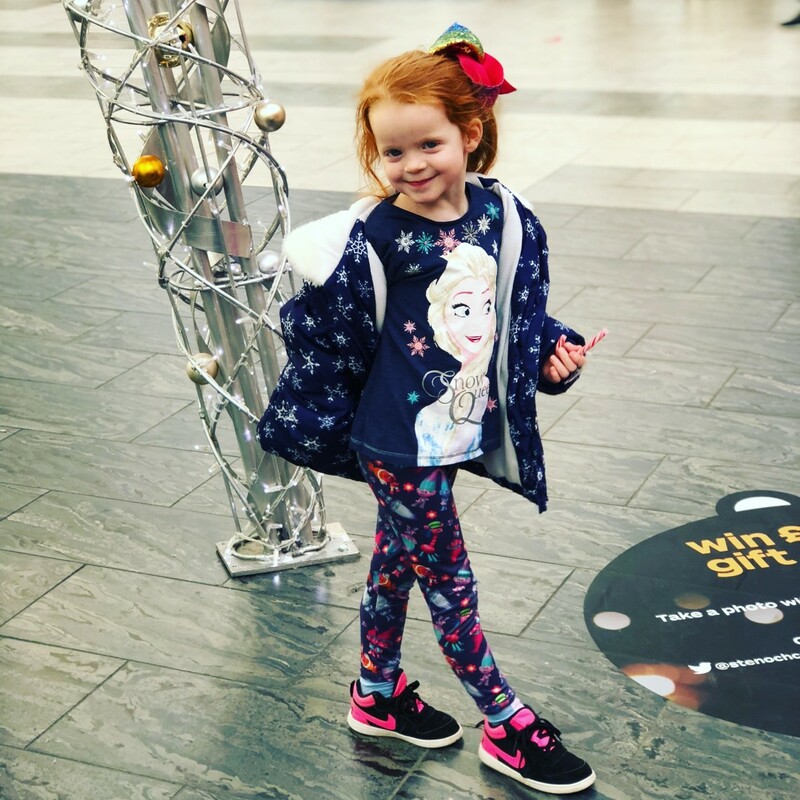 The St Enoch’s centre is a lovely, spacious shopping centre, with a wide variety of shops including Hamley’s and my own personal favourite The Disney Store. We had a look at a few shops and had a wee beverage in the extensive food court. There is plenty to chose from if you need a refreshment. Looking around at all the decorations is one of my favourite things to do. Don’t they look pretty? I love the huge reindeer. They are dotted throughout the shopping centre and light the place up. 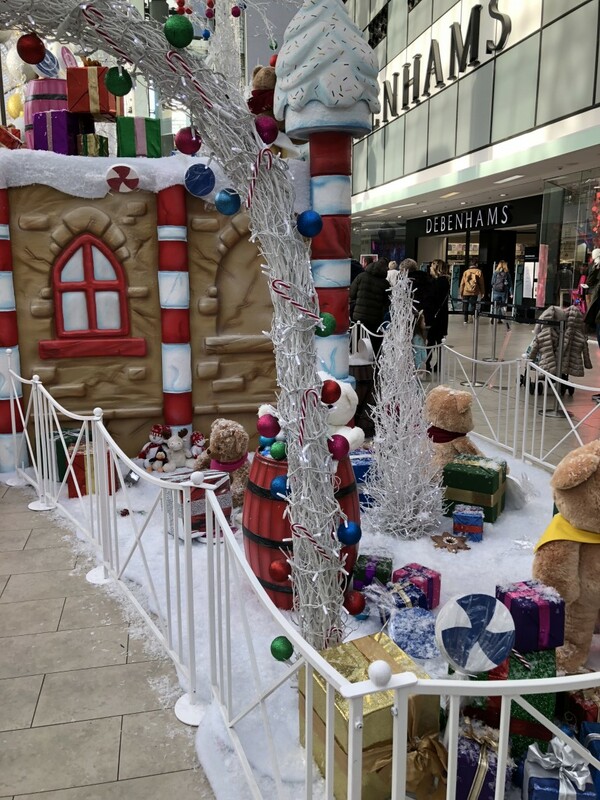 We headed to Debenhams to where Santa’s Grotto is, there we found it in its full glory. A little miniature Lapland amongst the hustle and bustle of shoppers. The grotto looks lovely, a little cottage with fake snow and gifts. There is even a countdown to the big day, that you can throw money into, while you wait. All proceeds going to charity. We were here around 12:3o, it was the start of December and not particularly busy. 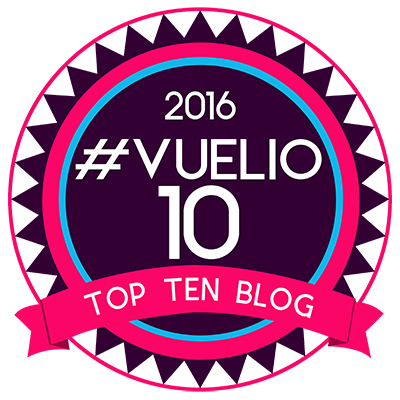 You can book slots online which is great, so you are not hanging around too long. 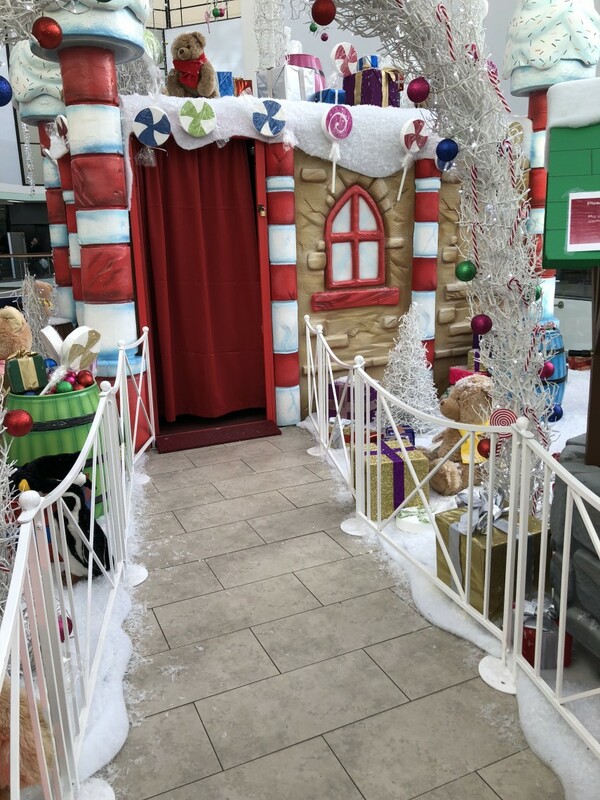 Santa has a few of his magical elve manning the door, who are funny and interact with the children getting them ready to meet the big guy himself. Santa was lovely. He knew a few snippets about the kids, so he could talk to them on a personal level and with older kids, this is crucial to keep the magic alive. He was the biggest Santa I’ve seen, but a lovely one and very jolly. He took the time to speak to each time and it never felt rushed. Aria isn’t too keen on Santa, so I need to sit with her. They all said what they’d like this year and that they’d sort of behaved. Well, at least they were honest. We got out picture taken and then left through the door at the back. The kids had gotten a wee gift in the form of some activity, colouring books. The kids enjoyed them and it was a nice wee gift. We waited until our picture was taken and then headed to do some serious Christmas jumper shopping. We were given a £50 gift card to do our shopping spree and with 5 of us, it was going to be tight. I checked the Disney store, of course, it was never going to happen there, perhaps 1, but not 5. I just like it anyway. Debenhams and M and Co were next up, but neither had anything that jumped out. We did a few more shops and then headed H and M.
H and M is a large store with two floors. We found jumpers for both the boys, Aria and Robert all within the shop. Coming to just under £40. I thought that was excellent value. I didn’t quite manage one myself but bought a Santa hat hairband to get into the Christmas spirit. Aria couldn’t wait to try hers on and wore it the minute we got out the shop. The shop assistant had kindly removed the tags for us after noticing a jumping up and down, excited child. And here they all are. My lovely little family. 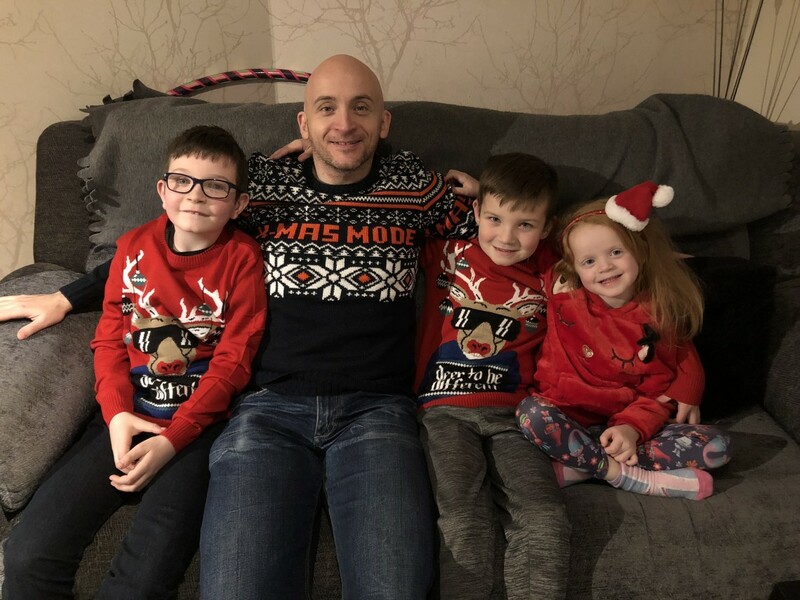 Christmas jumpers at the ready. Aria borrowed my hairband for the occasion. We had such a lovely day and the jumpers are a big hit. Christmas jumpers are not just for Christmas jumper day you know. I would highly recommend St Enoch’s shopping centre. It is a lovely place to shop and filled with Christmas delights. Check out our visit a few years ago to Hamleys. And our Comic Book Drawing Class. 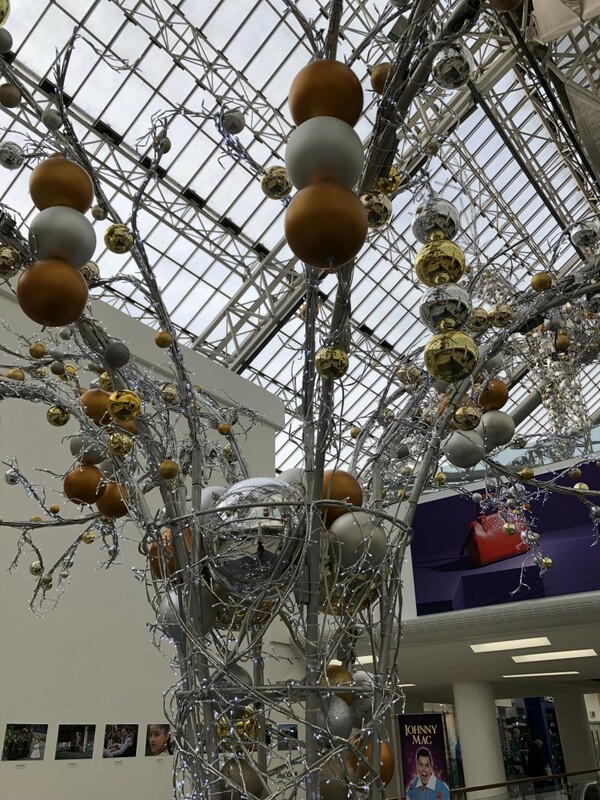 St Enoch’s Centre will have a lot of other events coming up. Do keep an eye out on their Events page for information. 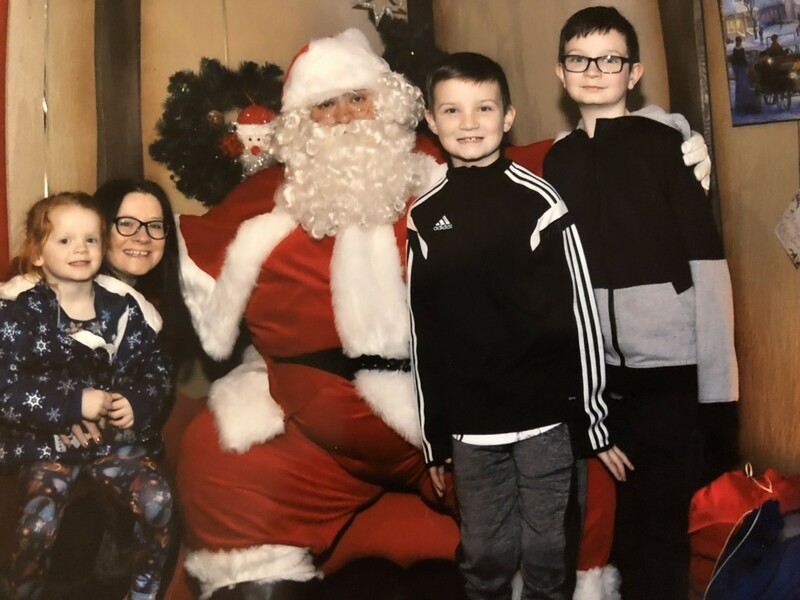 Disclaimer:- We were given a complimentary visit to see Santa and a gift card for the blogger challenge, but all thoughts and opinions are my own. 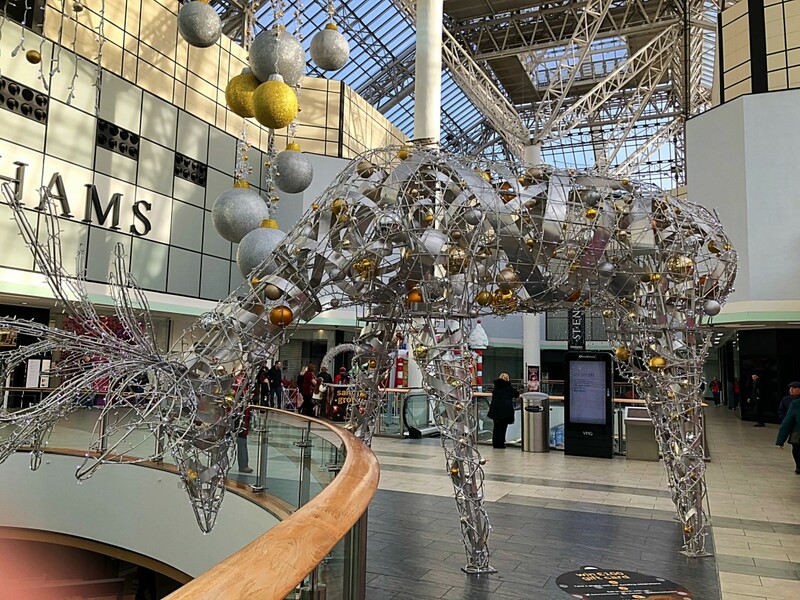 It does look like a gorgeous place to go shopping – the reindeer there was gorgeous!